Mount Damavand is the highest mountain in Iran and the Middle East and the highest volcano in Eurasia. There is a city with the same name of the Tehran Province in Iran. Damavand, with 5,761m elevation is the highest mountain in Iran, western Asia and Europe. It is the highest natural entity in the country & the subject of many mythical and folkloric stories; on behind of which, there’s a long history of ascends to its peak. 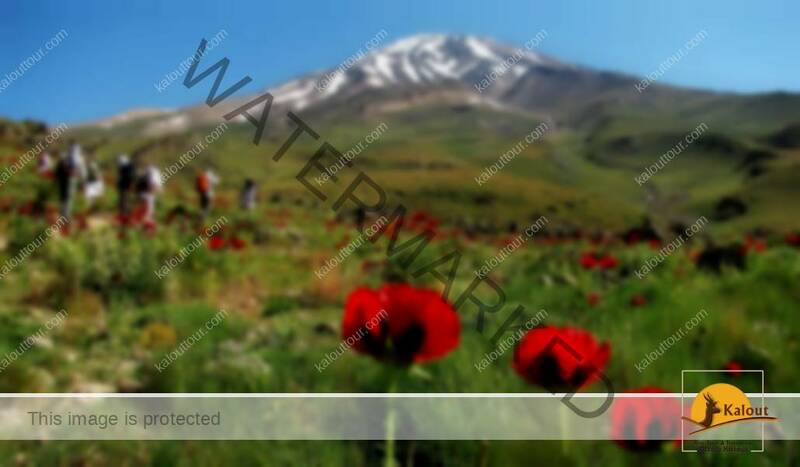 Located in the Central Alborz chain with 16 various routes to ascend the peek & due to many deep valleys and high slopes surrounding it, Damavand region harbors a great variety of vegetation and wild life. Of special features of this volcanic mountain we can cite its huge glaciers and the sulfuric hill located at the peak. Tehran- Polour Arrival in Tehran, then driving to Polour a village in Larijan strict ,well known for being the climbing start point of the Mount Damavand.O/N (Polour Hut–B-D). •	Any expenses such as telephone calls, laundry, mini bar used in the room, tips etc.